Marvin Deitz has some serious problems. His mob-connected landlord is strong-arming him out of his storefront. His therapist has concerns about his stability. He’s compelled to volunteer at the local Children’s Hospital even though it breaks his heart every week. When Marvin heads to Los Angeles to locate the woman who may or may not be Joan, he’s picked up hitchhiking by Mike Vale, a self-destructive alcoholic painter traveling to his ex-wife’s funeral. As they move through a California landscape populated with “smokes” (ghostly apparitions that’ve inexplicably begun appearing throughout the southwestern US), each seeks absolution in his own way. 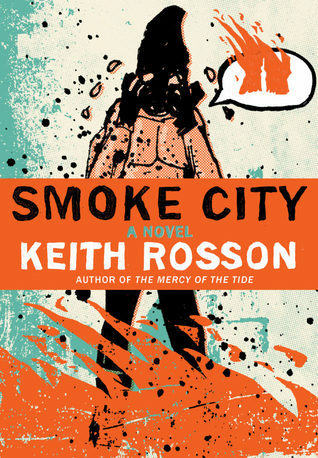 Keith Rosson is the author of the novels The Mercy of the Tide and Smoke City, and his short fiction has appeared in Cream City Review, PANK, December, The Nervous Breakdown, and more. 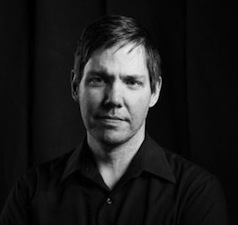 He’s been twice nominated for a Pushcart Prize and a finalist for the Birdwhistle Prize for Short Fiction. He’s also an illustrator and graphic designer, with clients that include Green Day, Against Me, the Goo Goo Dolls, and others. A fierce advocate of public libraries and non-ironic adulation of the cassette tape, he can be found at keithrosson.com.